Are you a film buff? Do you love to watch almost every movie that is released in a movie theatre? However, does the exorbitant price of movie tickets deter you from watching most of the movies? Then, MoviePass app is here to bail you out. Want to know how, then read below…. MoviePass, is a subscription-based service start-up helmed by Netflix co-founder and former Redbox president, Mitch Lowe that allows you to see one film per day at any theatre in the U.S. MoviePass is accepted at over 91% of all theatres in the U.S with the service even working on blackout dates. For those unaware, MoviePass came into existence in 2011, with an aim to attract movie lovers by offering them a price structure that makes it a lot cheaper for them to go to the movies. The service went through several pricing structures following its original invite-only launch (including those limited to 2 or 3 films per-month, and “unlimited” plans, with pricing based on market size). When the new subscription price of $9.95 per month was announced on Tuesday, the company’s website went down due to the increase in traffic. In order to use MoviePass, you need to sign up on their website either using your Facebook account or your email. Once you have signed up, you need to pay the first month subscription fee using either your credit card or your PayPal account. The MoviePass card will arrive in your mail within the next 7 business days. Your monthly subscription will start from that day. To use the MoviePass card, you need to have their mobile app downloaded on your smartphone that is available for free on Google Play Store (for Android) and App Store (for iOS). Once done, you can use the app to check into cinema (within 100 yards) and choose a film and showtime as per your choice. When checked-in, the exact amount needed to purchase a ticket for that movie is credited in your MoviePass card, which is then deducted when you swipe it at the box office or kiosk to get your ticket. How does MoviePass earn money? Since its launch, the service has faced notable objections from major cinema chains and hasn’t gained much grip and remains underutilized. 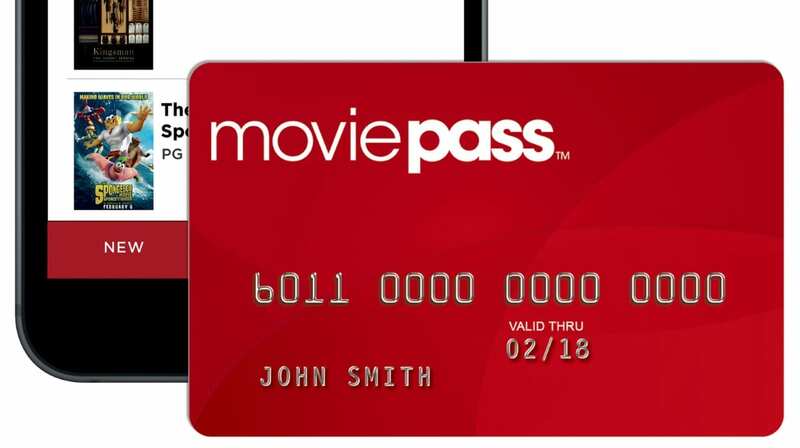 With now customers having to pay just $9.95 per month to watch one film every day will definitely cause MoviePass major losses due to the fact that they have not been able to capture major customer base. However, with MoviePass recently selling a major stake of its firm to the New York based analytics firm, Helios and Matheson, it is looking to minimize its losses. With the new price structure, it plans to convert the service into a potential profit-making model where the average ticket price costs under $9 and can go over $15 in bigger cities like New York and San Francisco. Also, the promise that the deal will stay in place for the next twelve months has resulted in thousands of new subscribers flocking to MoviePass as a result. According to Ted Farnsworth, Helios and Matheson’s CEO, the goal of the pricing changes were to increase its user base, as they aimed to analyze viewing habits for the purposes of targeted advertising. While the movie lovers may be rejoicing at the new pricing structure given by MoviePass, the same has however not gone down well its biggest movie theatre partner, AMC Entertainment. AMC also said it is discussing the possibility of withdrawing their theatres from the service and considering legal action to stop MoviePass — which it called “a small fringe player” in AMC theatres. Do let us know what do you think about MoviePass’s new move and would you opt for their service in the comments section below. For an article that’s written about a week after their launch, you have apparently failed to notice both moviepass’s Twitter post, as well as other news articles stating that you are now allowed to watch the same movie multiple times. In no way is this a bad thing for the consumer or the movie theaters. This is a win win for everyone involved. the only tweaks i’d like to see made is maybe a family subscription and be able to purchase advanced tickets. Otherwise, I can’t wait for my card to get here and start going to the theater again!